Croatia has blossomed massively over the past few years as a touristic destination as more and more people have discovered how gorgeous this Balkan country truly is. For those on a EuroTrip, we think it’s a must, particularly the many islands. This is where you'll find some of the best hidden Mediterranean beaches, along with stunning scenery and delicious fresh seafood. Located on the coast of the Adriatic Sea, Croatia is home to numerous magnificent beaches, many small pristine islands and lots of cute charming harbour towns. Some of the most famous sights include the “Plitvice Lakes National Park“, the UNESCO World Heritage town of Dubrovnik or “Diocletian’s Palace” in Split. One of the major draws for travellers to Croatia is, of course, the coastline – all 6,278 km of it! The Adriatic Sea is one of the most peaceful and beautiful parts of the Mediterranean, definitely made for exploring by boat. With around 1,244 islands, islets, rocks and reefs, you could easily spend months (or years) island-hopping and exploring without getting bored. We particularly love it because it has some excellent diving and snorkelling opportunities with crystal clear blue water. Aboard a cruise, you can also explore small hamlets, less frequented islands and towns with historic architecture. While there are certainly other amazing parts of the country worth exploring inland, the picturesque, fun and relaxing coast is one for us the best part. Dubrovnik: the most touristic and famous place in Croatia, and for good reason! It's a picture-postcard-perfect city, with narrow cobblestone streets, surrounded by ancient city walls, a turquoise bay and an iconic castle next to the water. Iconic, of course, because this was where much of the Game of Thrones locations were filmed. Split: another well-known and popular coastal city. Many cruises depart from (or stop in) here and there are lots of stunning beaches in the area to sample. Split is also home to the UNESCO World Heritage site of the Diocletian Palace – one of the best-preserved Roman architectural structures in the world. Hvar: one of the largest islands along the Croatian coastline located close to Split. We think it's a must see because it has some of the best ancient architecture along with many lush beaches, with sweeping views over the Adriatic. 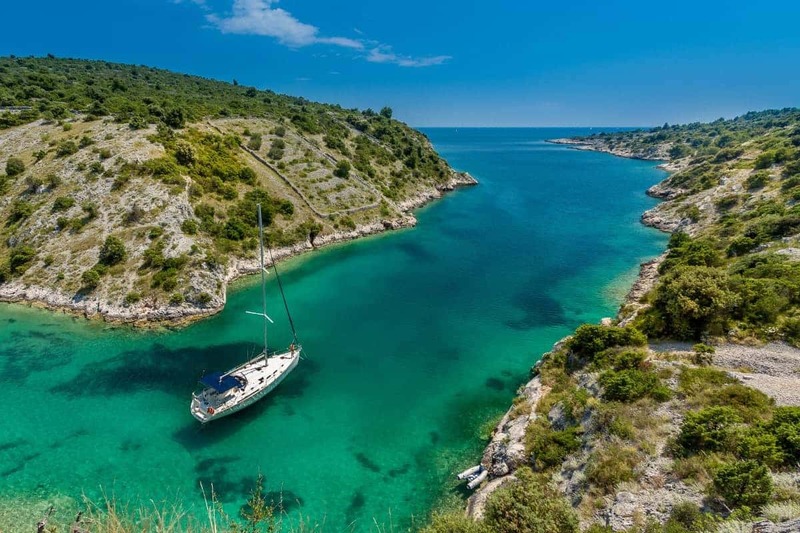 The smaller islands: this is the real highlight of a luxury cruise in Croatia – in a smaller yacht, you can reach the island located further away like Lastovo, Dugi Otok, Lopud and Vis, which the larger, more touristic boats overlook. Here, you feel like you have the entire place all to yourself. Why explore Croatia by cruise? Sure, you'll still probably see lots of pretty sights if you travel by land but nothing beats luxurious relaxation than sailing on calm waters. The coastline is the warmest part of the country and during the summer months, you’ll be able to fully experience the pleasures of being on the water without being as hot as you might be within the cities. But that doesn’t mean you shouldn’t visit the cities! Cruising is a fun and easy way to see many parts of Croatia without having to pack and repack then constantly check in and out of different accommodations. Instead you have your own ‘floating accommodation' every night after shore-excursions. This also takes all the organisation and navigational worries out of your head, as you can simply relax and enjoy your journey between ports and islands. Cruises are usually inclusive of some of your meals, so again this is a great way to sit back and let someone else plan all your meals. Cruises are also the perfect way to meet other like-minded people. 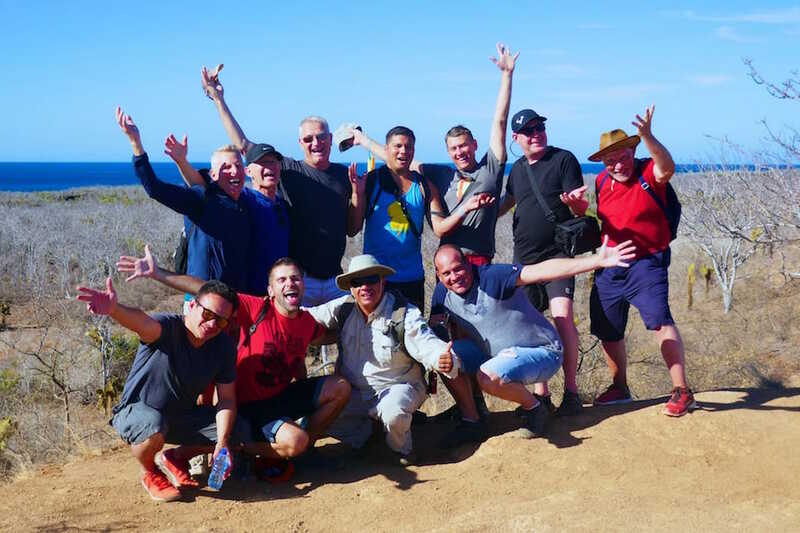 We met some of our best friends on previous cruises we did, such as our liveaboard in the Komodo National Park or our luxury cruise in the Galapagos, who have now become one of our favourite travelling buddies. There are many options available to suit all travel styles, whether you want to relax and be pampered, or pack your day with lots of activities. Our ideal cruise will have a healthy mix of both, with a focus on kayaking, snorkelling and diving. You can also choose shorter itineraries lasting a few days, or longer ones so you can see more of the coastline. Lots of different luxurious options to choose from! Kayaking: exploring the old limestone cliffs and pebbly beaches around Split on a kayak. Panoramic flights: one of the coolest ways to see Croatia's coastline is via a panoramic flight in a four-seater Cessna. Some companies offer a Game of Thrones themed flight! Ziplining: super fun and not as intense as jet ski. One of the best is the steel wires suspended 150 meters above the canyon of the river Cetina. When taking a luxury cruise in Croatia, you're on board a smaller vessel with a higher staff to passenger ratio, therefore giving you a more personable and attentive service. The staff are usually locals, which therefore gives you a fantastic opportunity to not only support the local economy, but also gain a deeper insight into Croatian lifestyle and traditions. They will also be able to recommend to you the best places to visit and restaurants to eat during your shore-time.